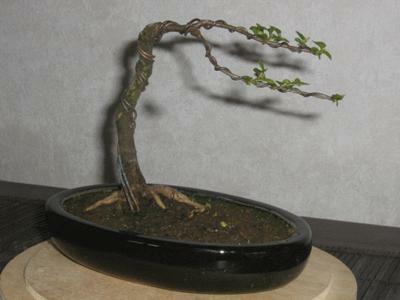 Chinese elm which i got from the Hamilton Bonsai show last year. It has got no form but just a regular plant in a pot. Tried to wire it but ended up breaking the upper branches and left me with two side branches, so I decided to work on it. Is windswept the right term for it?